How to use FireBug and Firepath ? 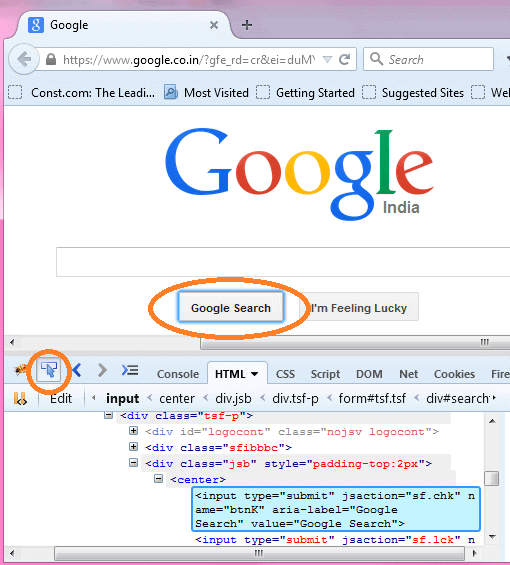 Lets inspect "Google Search" button on google page. 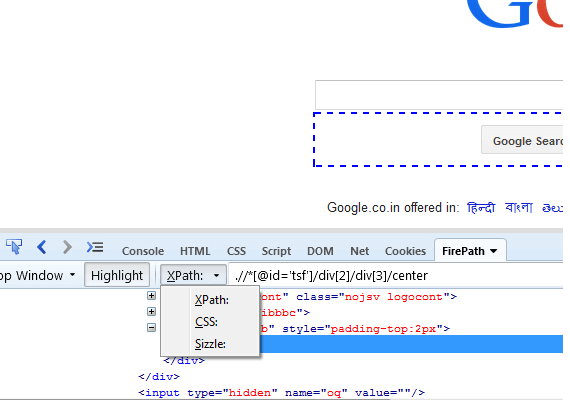 5.Firepath will shows you the Xpath value by default and here the xpath values is :".//*[@id='tsf']/div/div/center/input"
6.If we want to see css value, we should change the option to css. Firepath not only helps us to find the xpath value but also verify it. 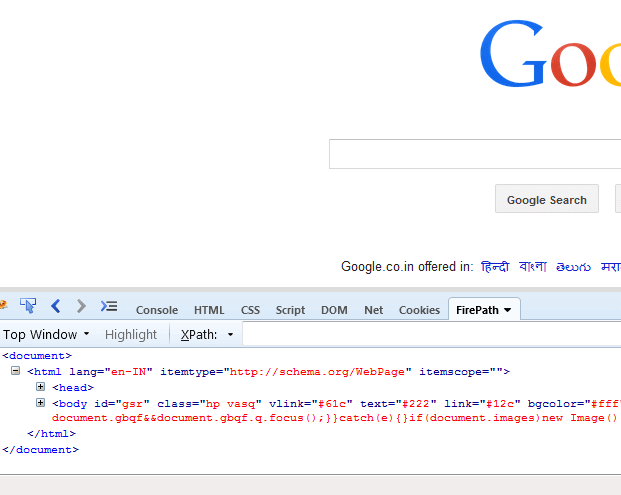 For example purpose let me write the a xpath and verify it. To verify we need to write the xpath and place same xpath on the xpath edit bar on firepath and press "Enter Key"